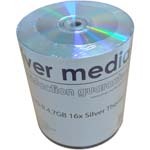 DVD-R discs are composed of two 0.6 mm polycarbonate discs bonded with an adhesive to each other. One contains the laser guiding groove and is coated with the recording dye and a silver alloy or gold reflector. The other layer is an ungrooved "dummy" disc to assure mechanical stability of the sandwich structure and compatibility with the compact disc standard geometry which requires a total disc thickness of about 1.2 mm. This sandwich structure helps protect the data containing layer from scratches by the thick "dummy" disk. 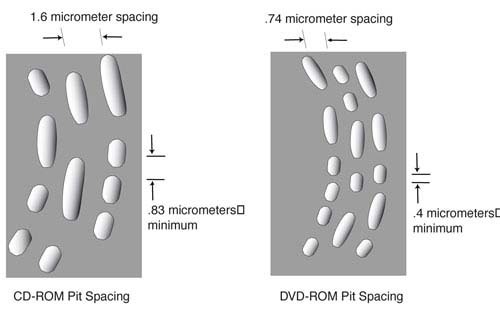 Compared to a CD's 1.2 mm of polycarbonate, a DVD's laser beam only has to penetrate 0.6 mm of plastic in order to reach the dye recording layer, which allows the lens to focus the beam to a smaller spot size to write smaller pits. To compensate for the extra precision required during write operations, the laser pulses are very carefully controlled, both in terms of intensity and duration. During recording, the laser is rapidly modulated between the power setting required for writing and the setting used for reading to avoid overheating the media surface and to regulate the size of the mark seared in the dye. 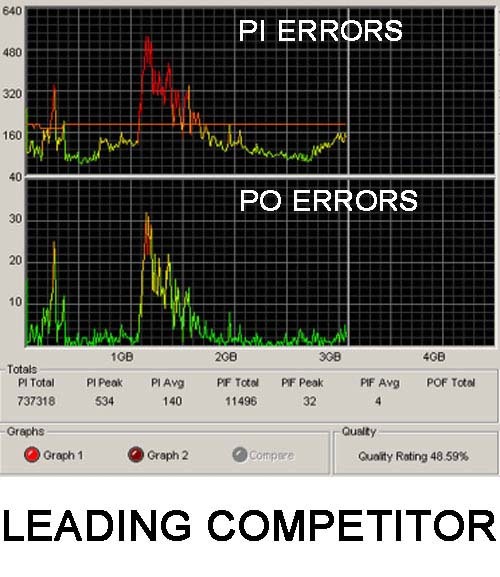 A technique known as Optimum Power Calibration (OPC) is used to perform test write operations to a specified calibration area on the recordable media surface and then to read back the test and adjust the laser power settings to match the recorder to the media. 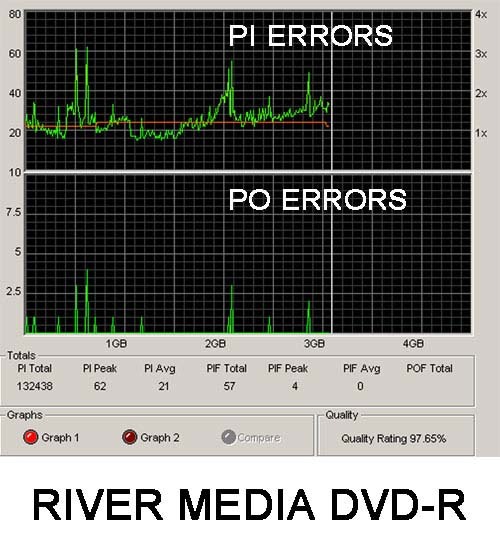 Given the extra precision required for recordable operations using DVD-R, this feature becomes a highly desirable addition to any recorder and helps ensure the most consistent results when performing disc recording. 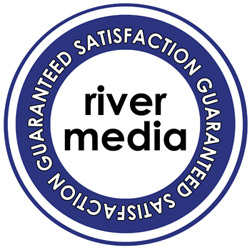 Select the needed Check box and click on Add to Cart of RIVERPRO DVD-R 4.7Gb 16x Thermal (Prism) - RIVER.